Search engine optimization (SEO) is the process of improving the visibility or ranking of a website on Google search results and increasing organic traffic. • Technical structure (20%). Technical structure includes redirects (i.e. from yourdomain.com to www.yourdomain.com), relevant keywords within your URL structure, page structure, internal links, and other technical factors. • On-page optimization (20%). On-page optimization refers to content that uses attributes such as meta descriptions, keywords, and alternate text. • Offsite factors (60%). Offsite factors refer to the number of websites that link to your site (also known as backlinks). The number of backlinks from quality sites to your website is one of the most important factors that affects search ranking. Begin your offsite SEO process by finding relevant keywords you want to rank for. 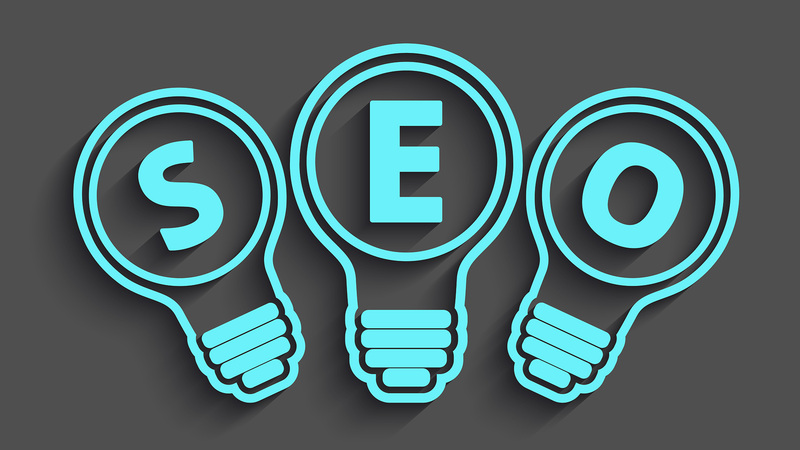 Doing so helps you focus your SEO program. If you don’t specify the keywords you want to optimize, you can’t identify who else is competing for the same keywords. Also, you can’t identify the number of backlinks you need in order to appear on the first page of search results for targeted queries. The easiest way to find relevant keywords is by using the Keyword Planner tool. This tool is available in Google AdWords and it gives you information such as search volume and related terms of a keyword. To use Keyword Planner, access your Google AdWords account, click on Tools, and select Keyword Planner. Then, select Search for new keywords using a phrase, website or category. From there, you can enter a targeted keyword, a website URL, or the category your company falls under (Donations & Charitable Giving). As you can see, Keyword Planner provides a comprehensive list of keywords related to cancer.ca and the keywords’ average monthly searches and competition. This helps me determine which keywords I want to rank for. Beginning your offsite SEO program by ranking for less competitive keywords helps you generate positive results and increase organic traffic and number of leads more quickly than trying to rank for competitive keywords. Ranking for less competitive keywords helps you build an SEO foundation so you can enjoy an improved overall search results when you rank for more competitive keywords in the future. Once you’ve decided on the keywords you want to rank for, identify your competitors. To do this, simply open an incognito window so that your previous search history or online activities don’t affect the search results and enter the keyword you want to rank for. Perform a backlink analysis on all websites listed on the first page of search results to get a ball park estimate of how many links you need to obtain in order to be ranked on the first page – even if it’s the last spot. Once you’ve identified the rough number of backlinks you need, make it a goal to achieve that number within a reasonable timeframe. For example, if you find out that the last ranking website has 300 backlinks, commit to earning a total of 300 backlinks in half a year. To perform a backlink analysis, you can use Open Site Explorer. This tool, which is available in paid and free versions, lets you enter a target website URL; then it shows the number of backlinks to the website and the backlinks’ website URLs. As mentioned in the introductory section, the number of backlinks a website has plays a vital (if not the most vital) role in elevating a website’s search ranking. • Earn backlinks from websites that link to other non-profit organizations. Visit the websites listed in Open Site Explorer. Earn backlinks from them by guest blogging, submitting your website to a directory, sharing content websites, or other effective SEO technique. • Submit to volunteer listing directories. Non-profit organizations or websites such as Richmond Cares, Richmond Gives, and Go Volunteer let you list volunteer positions on their websites. The listings will contain a link to your website – a backlink! • Leverage fundraisers. When you organize a fundraiser, make sure all your fundraising partners and the media include a link to your campaign page or website. Below is an example of websites and blogs that feature the Run for the Cure campaign. Yes, we know. Search engine optimization is long and tedious work but it helps non-profit organizations gain online exposure in front of the audience they want to reach. By taking the five steps above, you can improve your ranking for less competitive and see positive results within a reasonable timeframe (if you’re committed to your SEO program!). If you have any questions about search engine optimization, please contact us to arrange a complimentary meeting with one of our digital marketing consultants.